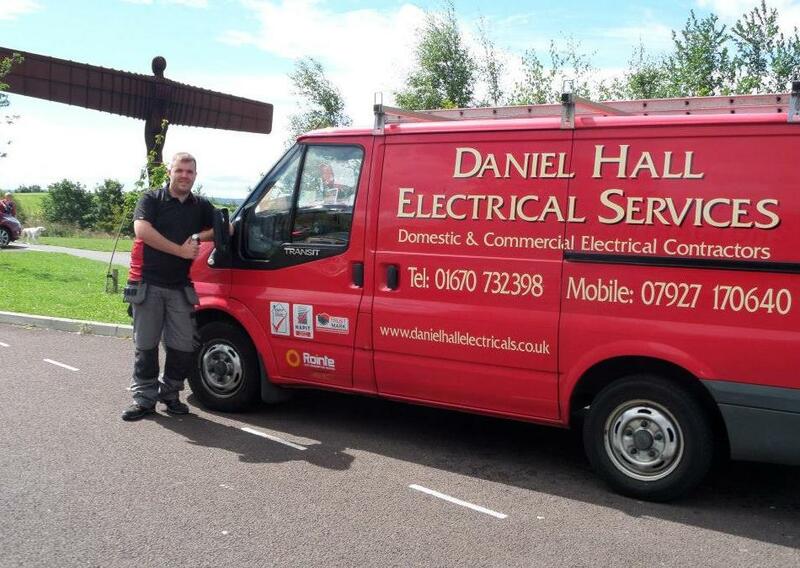 Daniel Hall Electrical Services Daniel Hall Electrical Services are qualified, insured electricians and fully signed up member of NAPIT, based in Cramlington and full Checked and Vetted member. We are a team of experienced and fully qualified electricians and can provide all types of domestic and commercial electrical services in the Newcastle area, including electrical installations. 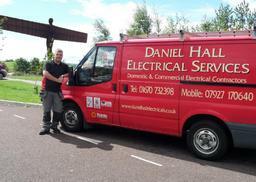 Testimonials are curated by Daniel Hall Electrical Services and are not independently reviewed or verified. "No hesitation in recommending him and he wll be the first one I call in future. 10/10"
"This was a more difficult job than first envisaged, even British gas engineers wouldn`t touch it as this part was obselete. Daniel sourced a new replacement part and expected it would take 30 minutes. After locating the wires from the boiler to the timer unit it was clear this was not as straight forward as first thought. There were no diagrams available to Daniel and it was a case of trial and error in order that we could have a fully operational system. He consulted his Dad by phone who is a plumber as it also needed plumbing experience. All in all it took 5xhours, not once did Daniel lose his cool, he just kept at it and said he was not leaving until he got it working properly. He also repaired an outside downlighter, a cooker hood light and replaced a new kitchen cupboard strip light for us too. When coming to payment he only asked for what we had previously agreed but I felt compelled to pay more which I did. Daniel is extremely competent, courteous and patient." "Removal of old wiring and wiring in of projection screen with no manufacturer instructions." "Came at short notice. Worked after hours to get job done on time. Worked without manufacturer instructions and figure out what needed doing on the spot. Promised not to leave until job was done, and worked until late at night to keep their promise. Very friendly and genuinely wanted to do a good job." "Additional lighting being added to showroom." "They rang to confirm price and installation date and turned up on time. Very tidy job." "Fixing 2 new light fittings and instalation of new trip fuse box"
"Completed to a very high standard. He was very meticulous in his approach. The after sales service was very good. I'd recommend this tradesmen to anyone."